Orca whale 'Tilikum', profiled in Blackfish, appears at his first 2011 performance after killing a trainer a year earlier. 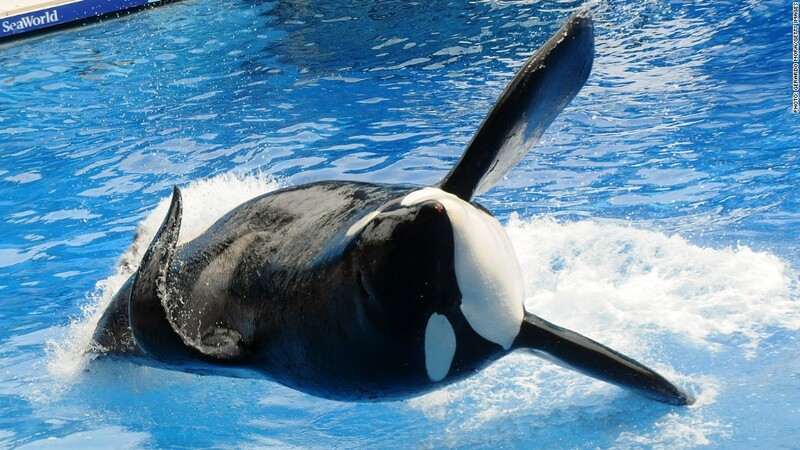 Another quarter, another batch of disappointment for SeaWorld (SEAS). Bad headlines and shorter admission lines are forcing the company to cut costs in order to stay afloat. "Clearly 2014 has failed to meet our expectations," said CEO Jim Atchison on SeaWorld's earnings call, according to a transcript provided by Seeking Alpha. Visits were down more than 5% from the same time a year ago, even though admission prices fell by just as much. SeaWorld said in its earnings release that "negative media coverage" was still weighing on business. Blackfish, a documentary promoted by and aired on CNN last year raised criticisms of SeaWorld's allegedly cruel animal treatment. The company said profits could fall as much as 16% for the year. It also announced that it would seek to cut $50 million in costs through the end of 2015 despite spending big to upgrade its orca habitats. The company's profits fell further than Wall Street was expecting, and decreasing revenues also came up short. The stock, which debuted less than two years ago, fell nearly 10% Wednesday, and it's down 41% for the year.